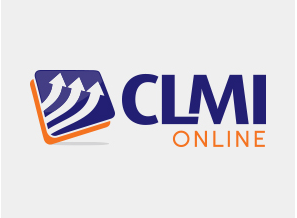 CLMI is Your Partner for online OSHA Training...and so much more! CLMI's Blueprints for Safety® is acknowledged as the industry's best and most comprehensive system of safety training programs and videos. But Blueprints for Safety® is much more than one of your typical online safety training providers. It is a complete system that incorporates the detailed instructions and tools necessary for implementing a successful program that will comply with OSHA requirements, improve performance, positively impact your bottom line and be part of CLMI's online safety training. Bloodborne pathogens are potentially dangerous, but with the proper awareness and training, they are risks that can be significantly managed and decreased in the workplace. From pathogen knowledge to increased availability of ways to safely dispose items that could expose workers to disease, bloodborne pathogens and needlestick prevention are integral to creating a more responsible and safe workplace. Working in spaces such as manholes, tanks, ducts and pits is just a part of the job for the workers in many industries. The hazards in a confined space can be deadly, but with careful planning, the right equipment and thorough training, the hazards inside a confined space can be controlled. Often considered one of the more hazardous industries, people in construction know the risks. But just knowing the risks is not enough. Workers also need to know how to minimize these risks can make the jobsite safer for everyone. Invisible and dangerous. Electricity powers everything around us and yet poses dangers that often goes unnoticed... until someone gets a painful shock or worse. From the simple understanding of insulation and grounding to the more complex requirements for arc flash protection, electrical safety plays a role in everyone's job. The study of employees and how they interact with their work environment equipment is otherwise known as workplace ergonomics. Factors like the way workers handle their equipment and personal posture can play a significantly large factor in determining an employee’s level of physical strain and stress on the job. Fire hazards in the work environment can be among the costliest disasters for business owners. Not only do they threaten to destroy vital work equipment, they also put the lives of employees at risk. No matter what kind of business you have, it's always important to practice workplace fire safety in addition to general emergency response training. 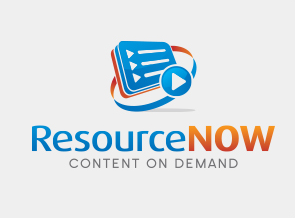 From floods to fires, civil disturbances to fires, our safety training videos prepare you and your employees for a variety of situations. Consistent and updated hazard communication is integral to creating a safe work environment. Good labeling, handling, and storage practices can help keep businesses running efficiently and healthily. By keeping people Effectively communicating in the instance of a hazard such as a chemical spill is of utmost importance. Not only can exposure lead to loss of productivity, it can also threaten the health of your employees. Proper hearing protection is too often ignored in the workplace. And while some workers may seem to think they’ll be okay not wearing hearing protection, the effects of hearing loss could slowly creep up on them. Hearing loss is preventable and risk can be minimized by taking some simple preventative measures including the consistent use of hearing protection. Working with ladders may seem simple enough. They provide workers with both flexibility and portability. However, without implementing proper ladder safety training practices, these otherwise useful structures can be dangerous. It's important that your workers understand the risks of using a ladder and how to use them safely. When repairing or maintaining plant equipment there is the potential of injury due to unexpected release of energy. According to OSHA, nearly 10 percent of all serious injuries are caused by failure to control hazardous energy in the workplace. Lockout/Tagout is a system that controls energy sources and makes the workplace safer for both those employees who are authorized to work on equipment and those operators and employees who are affected by the maintenance operations. Your workplace can depend on heavy machinery and equipment to get the job done. With bigger and more powerful machines interacting with your workers, you need to be sure that employees understand the hazards of their equipment and know how to operate equipment safely. Nobody wants to get hurt. But just wanting something to happen won’t make it happen. Preventing personal injuries requires an understanding of the hazards of the job and the techniques and methods that keep those hazards under control. Powered industrial trucks, such as forklifts, are necessary for moving heavy or large quantities of material while on the job. Improperly operating these vehicles in the work environment can have catastrophic effects. Risks such as falling loads or pedestrian/vehicle accidents differ according to each workplace, but proper training can reduce these risks regardless of the environment in which these vehicles are used. When working around chemicals, infectious particles, and/or other toxic environments, it’s important to ensure that employees’ respiratory systems are adequately protected. Respirators are used to filter air that contains airborne contaminants or provide clean air in environments that are lacking in oxygen. Workers need to have the correct equipment available to them when appropriate and be able to use it effectively.